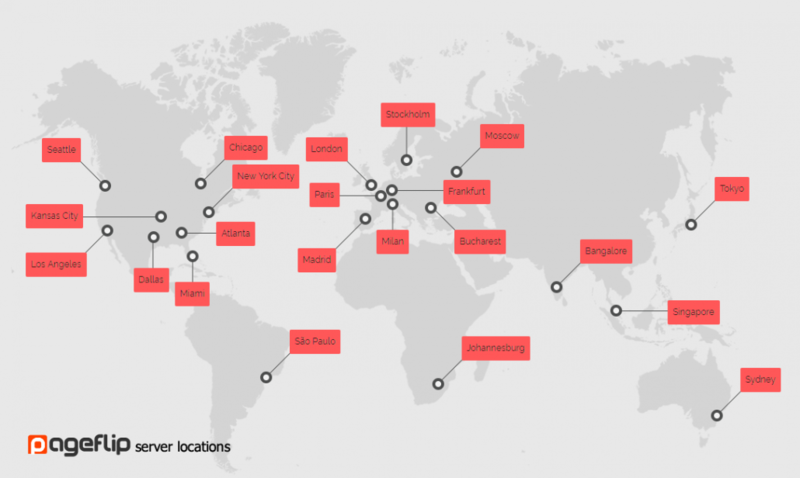 With a global reach of 22 content delivery network datacenters we’re always just a hop away from your users for maximum performance. By holding data closer to your users, our CDN speeds up your flipbook no matter where they are. By lowering latency and packet loss for maximum possible performance, your flipbook will feel faster than ever. No matter how much traffic your flipbook needs to serve, our CDN will deliver it and our automatic healing will make sure your flipbook stays online even if one of the servers goes down. No more worrying about your infrastructure.